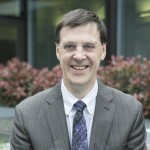 Professor Jeremy Whelan trained as a medical oncologist in London. He developed an interest in cancer affecting young people not least through caring for teenagers being treated in general cancer wards in the 1990s. As a consequence he has both developed a large specialist clinical service at University College Hospital for teenagers and young adults with cancer as well as developing an extensive research programme and supporting the development of national policy initiatives for TYA cancer care. In addition he leads a major clinical research programme in sarcoma.